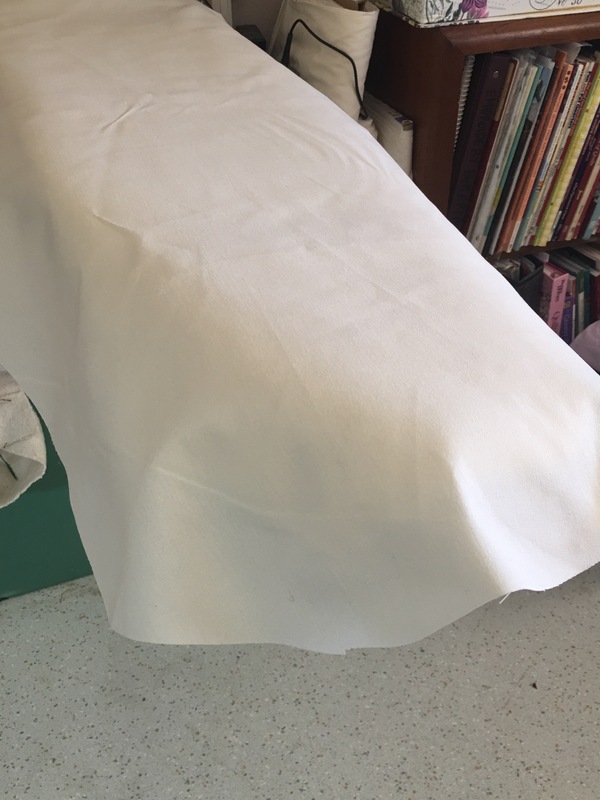 Totally Tipster – How to Make a Super Quick and Easy Ironing Board Cover – It's a T-Sweets day! 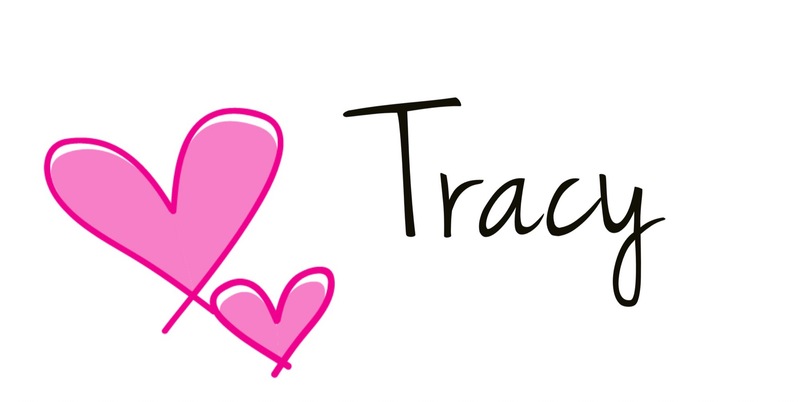 Published on April 22, 2017 April 22, 2017 by Tracy @ It's a T-Sweets Day! 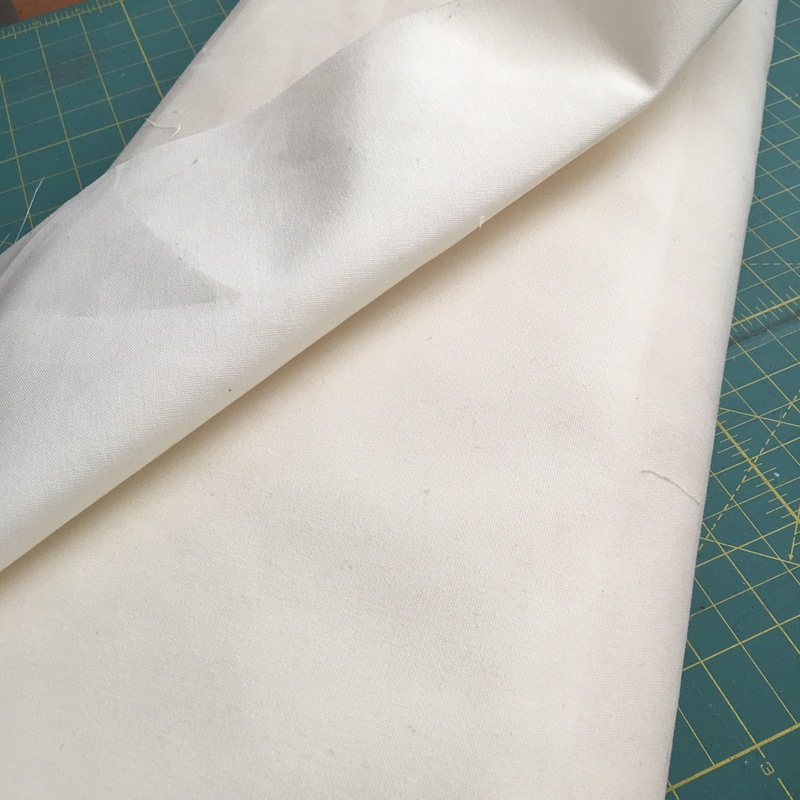 Ok, this post is going to be a little bit embarrassing for me because it shows my lack of emphasis on keeping everything clean as a whistle in my sewing room, but hey, I’m creating here, right? 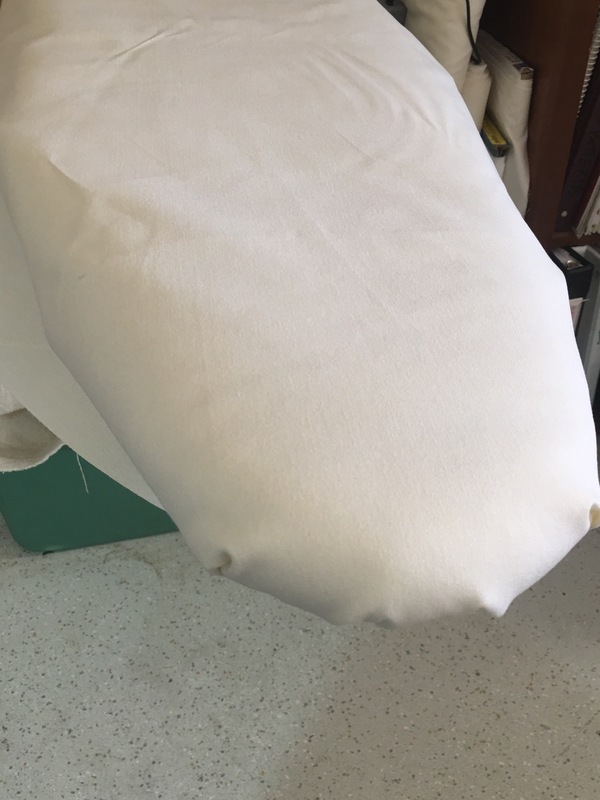 A friend gave me this bolt of canvasy type cream material that is now going to be designated the ironing board cover material. I have years of covers here! Thank you friend!! I am going to love the plain, neutral color.:). 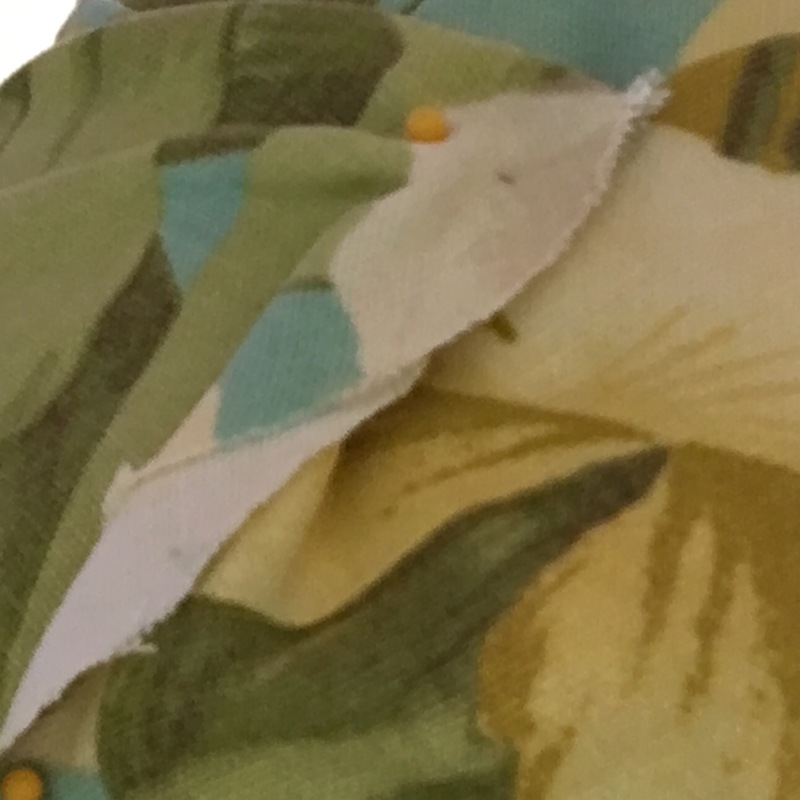 So here is the Totally Tipster Tip— I don’t sew anything. I cut out my fabric and pin in over the original cover. Easy easy, fast, fast, easy! What took me so long? I removed all of the pins, there were about 25 or so. I used the old cover as a pattern for the new one. This will be your first time, so just use a piece of newspaper and trace the top of your board. 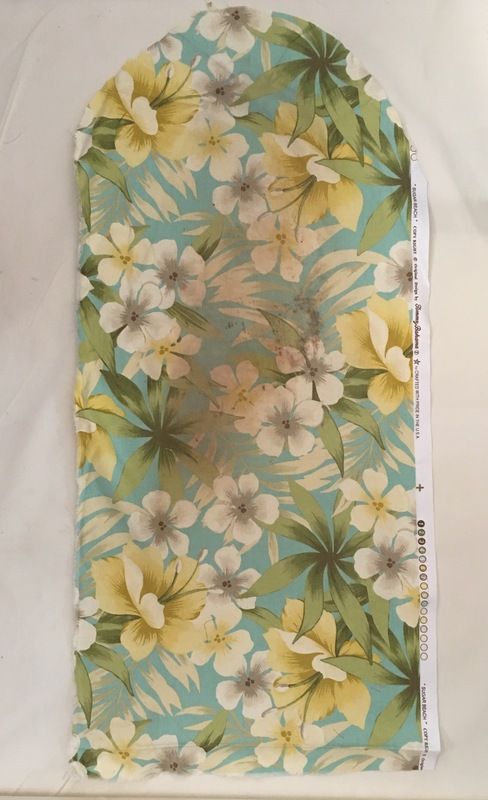 Lay it on your fabric and add 5″ all around. It doesn’t have to be exact, just make it bigger than your board. If you like, add a little bit of batting for extra cushioning under the cover. I put it on top of the original cover that came with the board. I like to use the long corsage pins, but there are a lot of yellow headed quilting pins under there as well. 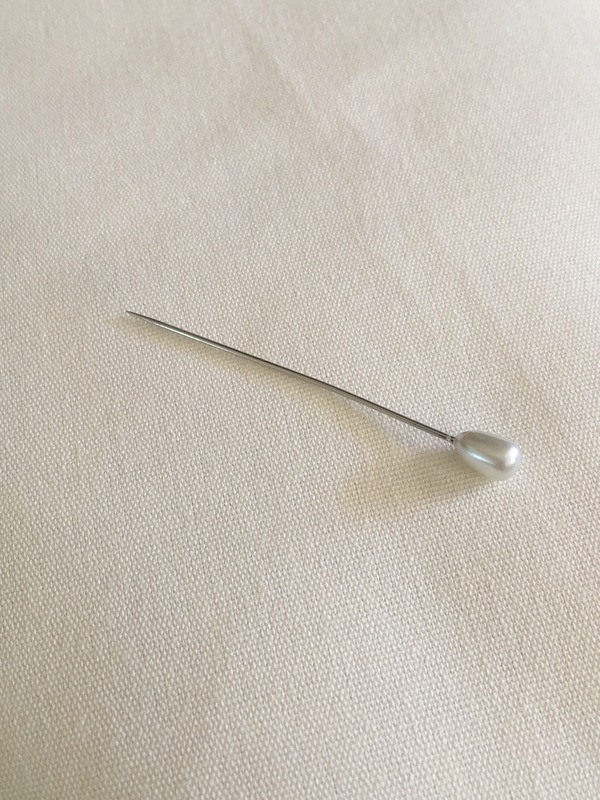 Keep pinning, tightening any loose spaces as you go. All done!! Doesn’t that look better? It’s Totally Tipster! It literally took twice as long to write this post as it did to cover my board! New resolution–I will NOT let my board get so messy next time! I have even cut out extra so I’m ready to go. 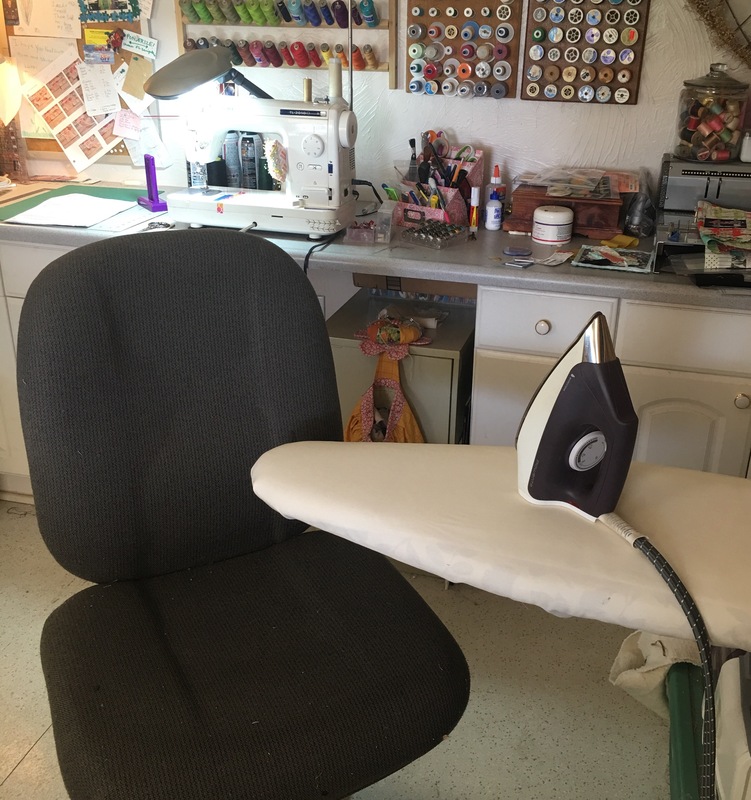 I sew while sitting on a rolling chair, I have placed my ironing board to the side of my sewing machine just high enough for me to roll over and press while I am still in my chair. It is SWEET !!! 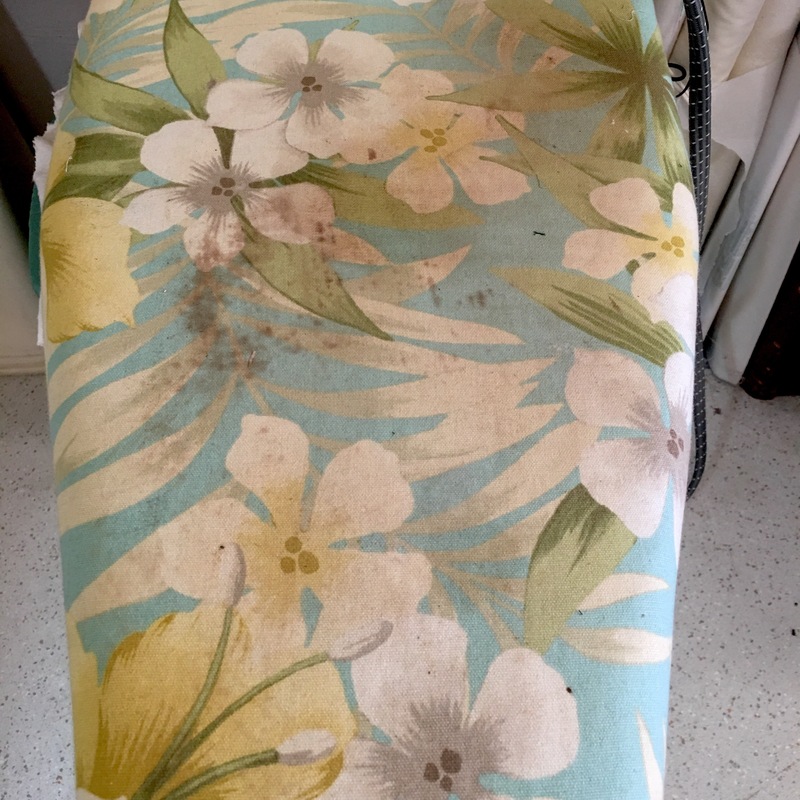 My ironing board cover is totally as disgusting as yours! 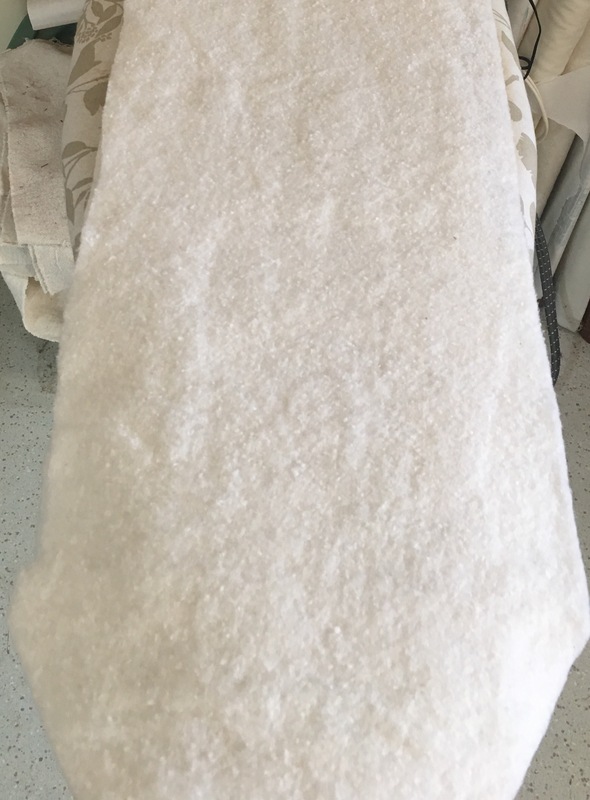 I take it off occasionally, fling it in a bucket of Vanish solution to soak, wash it with the detergent I use for the Husband’s diesel-y work clothes, and tah-dah! Not perfect, but not nearly as villainous. I do like the idea of the quick and easy replacement, though. 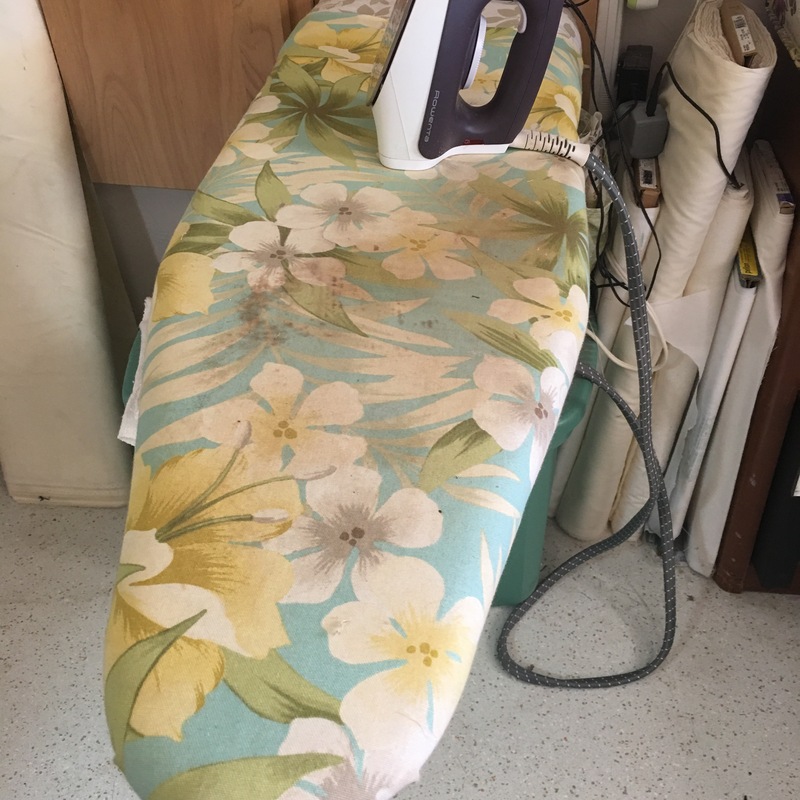 And although I too sew on a rolling chair, I make a point of getting up and walking to the ironing board, just to change position and take a tiny bit of exercise in what is often a long day of sewing! Washing your cover is a great idea! Definitely gives it a new life:). I’m glad I’m not alone in the well worked over cover.:). You are the best! !- here’s to standing every so often!! A friend gave me some green canvas, and my board cover is in league with yours…I may have to give it a try, even though the canvas weighs a ton! Question: how “course” is the fabric? I’ve found that I prefer a finer thread count so that what I’m pressing doesn’t get “embossed” with the cover’s texture. Unfortunately, that, also, means that the fabric doesn’t last as long. 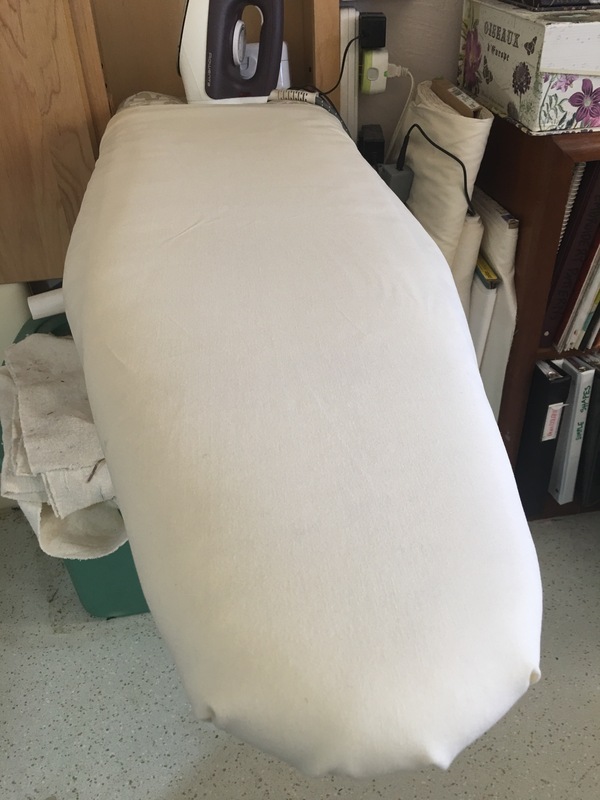 I have found some really heavy, but fine thread count, muslin that has worked well. I’m due for a change and will have to get to it when we get home from here/Texas (mentally adding 1 more task to my already lengthy “to-do” list!!! LOL!). Hugs………. I definitely will (with your great tutorial handy!!!! )…………….